I made these last night for dinner and Allen said “you should blog about this!” If he says that, I know it’s definitely going on the make again list… So here it is! 1-2 onions (depending on their size), cut into 1″ pieces. All I had were yellow but I bet red would be good. Marinate your chicken and veggies (separately) for at least 4hrs or overnight. Stick all of it on skewers (this made 12 with a veggie pineapple kabob leftover). 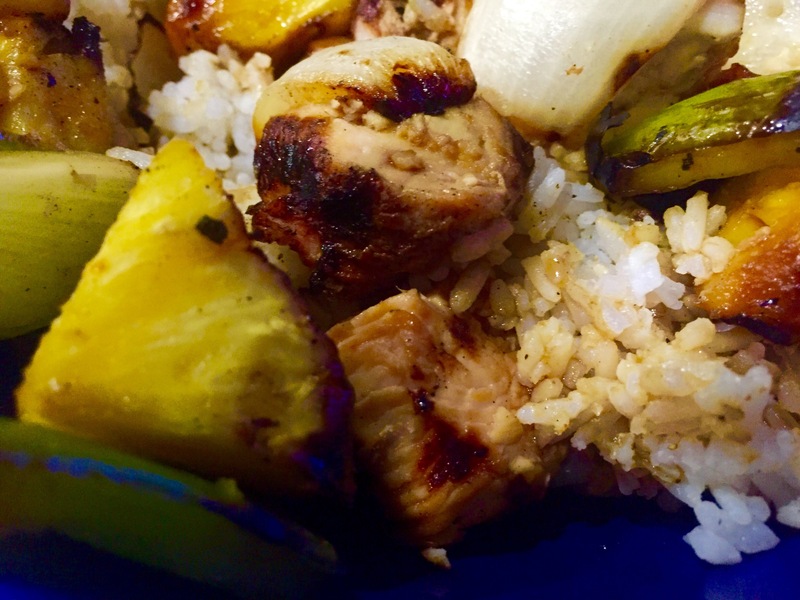 Grill over medium-high heat until chicken is done and pineapple is nice and carmelized. Serve over white rice, seasoned with salt & pepper, with a nice drizzle of soy sauce over everything. Enjoy! I know we sure did! 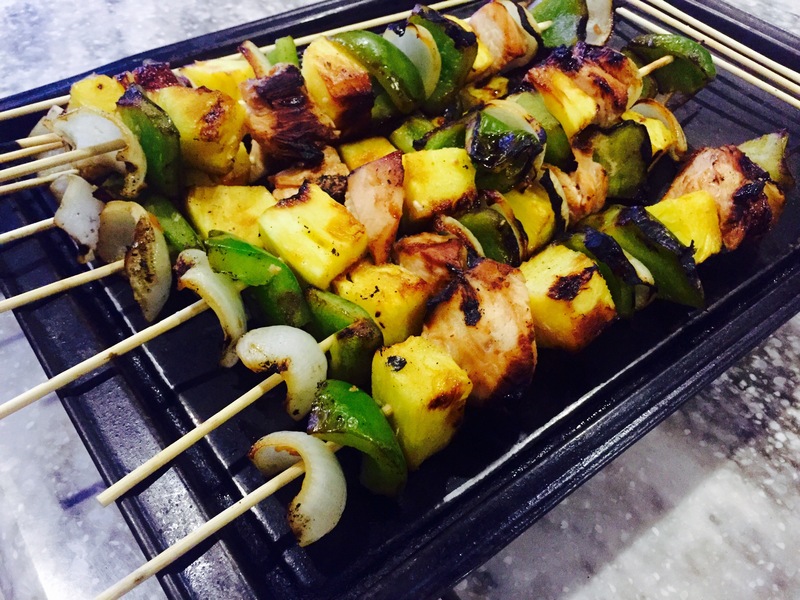 This entry was posted in Food and tagged carmelized pineapple, chicken, chicken kabobs, food, garlic, ginger, grilled, grilled chicken idea, grilling, hawaiian, hawaiian chicken, healthy, marinade, orange juice, recipe, skewers, soy sauce by Rachel Gillen. Bookmark the permalink. Let me know if you guys like them!